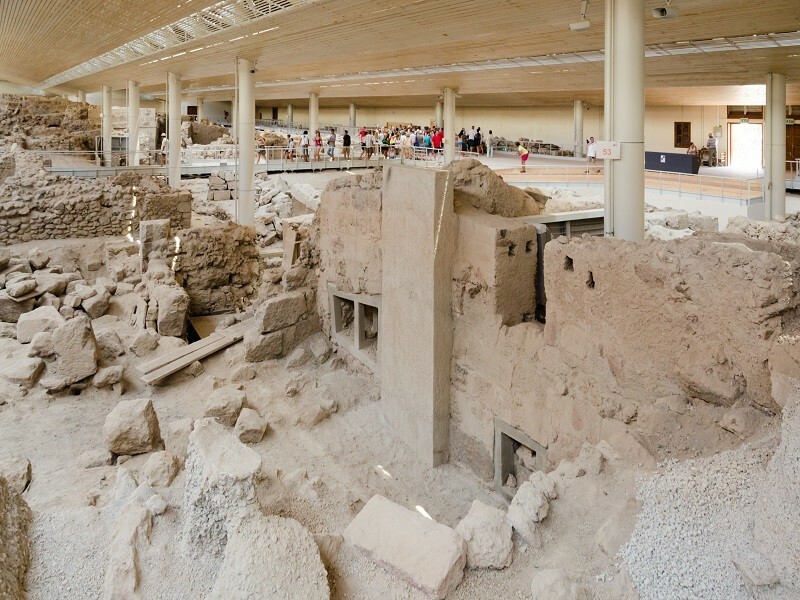 Uncover the myths & legends of Santorini on a guided tour of the Akrotiri Excavations, a prehistoric Bronze Age city, frozen in time by ash that fell during the Minoan volcanic eruption 3,600 years ago. Some speculate that this is the origin of Atlantis, a mythical city, lost in time. Ruins, frescoes and fascinating ceramic artifacts are just a few of the finds that add even more intrigue to the site as you wonder around. Learn about Santorini’s unique viticulture traditions at the unforgiving island conditions & taste a selection of 12 different wine styles such as Assyrtiko, Nykteri and the sublimely sweet Vinsanto wine. 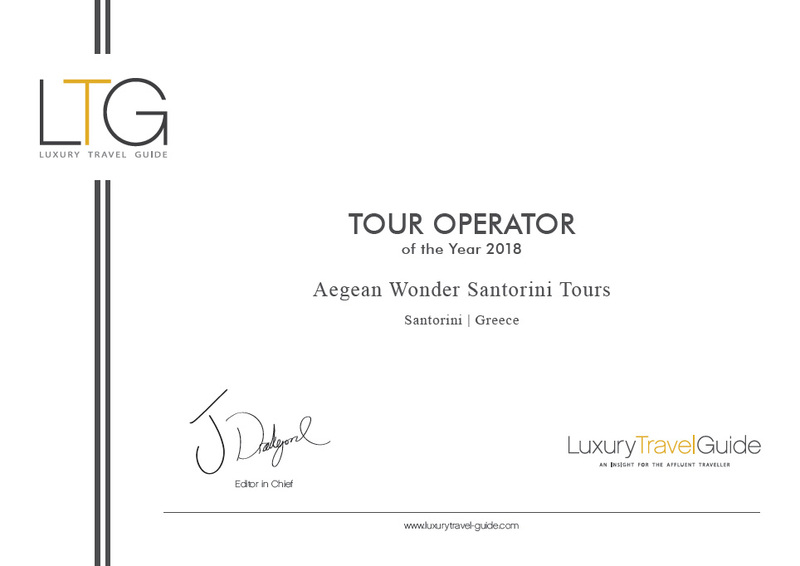 • 6-hour in-depth history and wine tour led by a Greek archaeologist and an expertise sommelier. 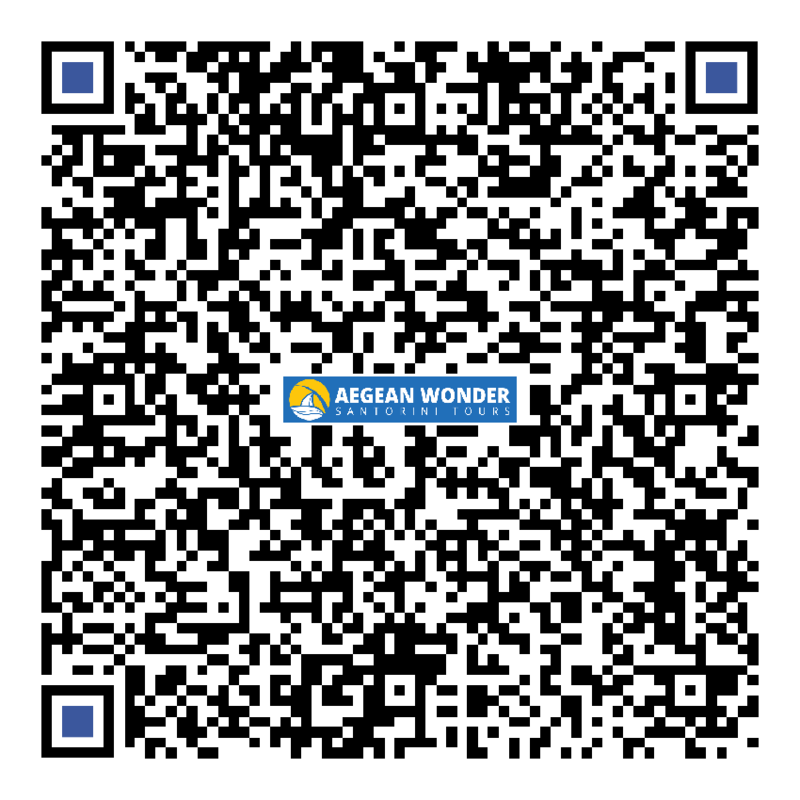 • Discover the Greek marvel of Akrotiri, lost for centuries underneath Santorini's volcanic ash. between Plato's "Atlantis" and the ash-covered prehistoric town of Akrotiri. 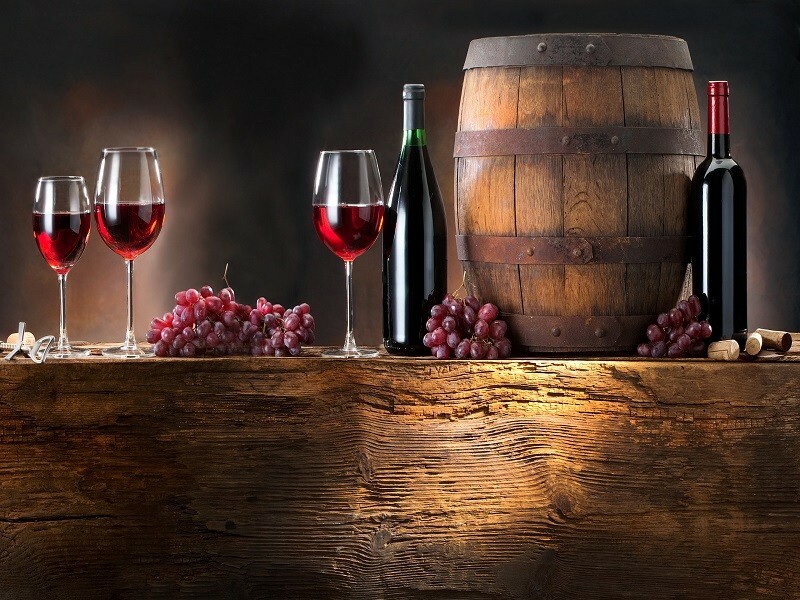 • Wine tour of 3 traditional wineries dotted around the picturesque countryside. • Try up to 12 varietals of Santorini wine such as Assyrtiko, Nykteri and Vinsanto. • Enjoy samples of local cheese and olives to eat alongside wine-tastings. • Admire the charming landscape filled with scenic villages and rolling hills. • Small groups with a maximum of 8 ensure personalized attention & intimate experience. Departs daily at at 09:15 am approx. English speaking, archaeologist and wine expert guide. Guided tour of the Akrotiri excavations and three Santorini wineries. Wine tasting of 12 different samples of wine. Snack plate with local cheese and olives alongside wine-tastings.